*This post has been sponsored by the J.M. Smucker Company. All thoughts and opinions are my own. Tell me: do you remember the very first time you had a cup of coffee? I remember I was on a school trip (or was it something to do with girl scouts? ), and our adult chaperones had stopped at a gas station to fill up our bus. We were allowed to run inside the convenience store for a quick bathroom break, and a couple of my girlfriends also bought cups of coffee with their allowances. I decided to give in to peer pressure, and ordered a machine-made cappuccino of my own. Sitting back in the bus sipping on my drink, I don’t mind admitting that it was the first time in my tiny life that I felt like a real adult. It was pretty life-changing—so much so, I can still remember the way the gas station was laid out. It’s that fresh in my mind! Twenty years later, my coffee tastes have changed quite a bit. It’s an appreciation that has grown with time as I’ve experimented with different flavors, styles, roasts, and methods, and it’s safe to say that I wouldn’t be able to properly start my day without it. Now that we’ve just kicked off a brand new season, I figured it was the perfect excuse to test my coffee-making skills yet again. This time I wanted to learn how to make the perfect cup of cold brew coffee, something full-bodied and cool to enjoy throughout these last few weeks of transitional warm-to-cold fall days. If you’ve never tried your hand at cold brewing, you might not even really know what it actually is—I know I didn’t know before going through the motions myself, so here’s the deal. Cold brewing is actually the process of steeping coffee grounds in cold water for 8-12 hours. I think, before this little at-home experiment of mine, I always assumed that cold brew was just another way of describing iced coffee, which is made by pouring hot coffee over ice. 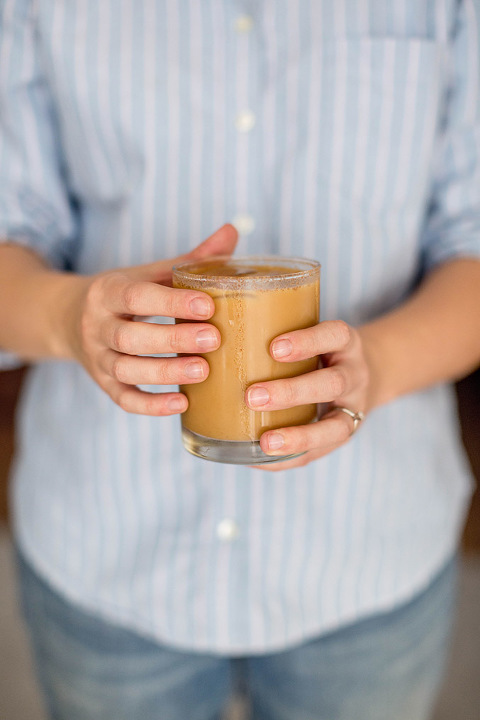 The latter, of course, is still tasty, but come to find out that cold brewing is super easy to make at home, and affords you one incredible cup of coffee. We’re talking ultra-smooth, rich, deep flavor—my mouth is watering just thinking about it. In case you’re looking to mix things up when it comes to your own morning cup of Jo, I teamed up with Dunkin’ Donuts to show how you can make a cup of cold brew in less than 10 minutes of hands-on time. You know I love a good quick craft any old day, but especially one that results in something so delicious—and nostalgic, too. First, you need a box of the new Dunkin’ Donuts Cold Brew Coffee Packs. You can pick these up at your local Target store in the coffee aisle (scroll to the end for a Cartwheel coupon!). 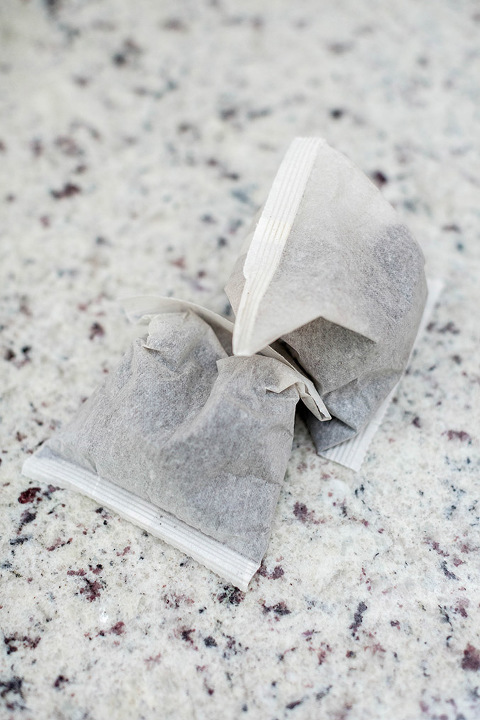 What I love so much about this method is that it’s almost too easy to warrant a “tutorial.” Just drop 2 Coffee Filter packs into a pitcher, fill the pitcher with 4 cups of cold water, and steep in your fridge overnight (or for 8-12 hours). Pull the pitcher from the fridge, remove the filters, and add 3 more cups of cold water. And, lastly, and easiest of all, enjoy. It has become something of a routine each evening for me to prep a pitcher of cold brew for John and I to enjoy together the following morning. I think it’s the type of thing we’ll be keeping up well into the new year. Another thing I love about this brewing method is that it’s easy to customize to your particular tastes and the current season. To commemorate fall, for example, I put together a simple spicy pumpkin flavor mix to give the coffee an extra dose of fall-themed personality. Just combine 1/2 teaspoon of pumpkin pie spice, 1/2 cup french vanilla creamer, and 2 tablespoons of pumpkin puree in a medium bowl. Whisk until smooth, then pour into the finished pitcher of cold brew coffee. Enjoy it over ice (with an extra dash of spice!) in individual glasses. A cup of our DIY Spicy Icy Pumpkin Latte is one of the main things I look forward to each morning, and, often, in the afternoon, too. 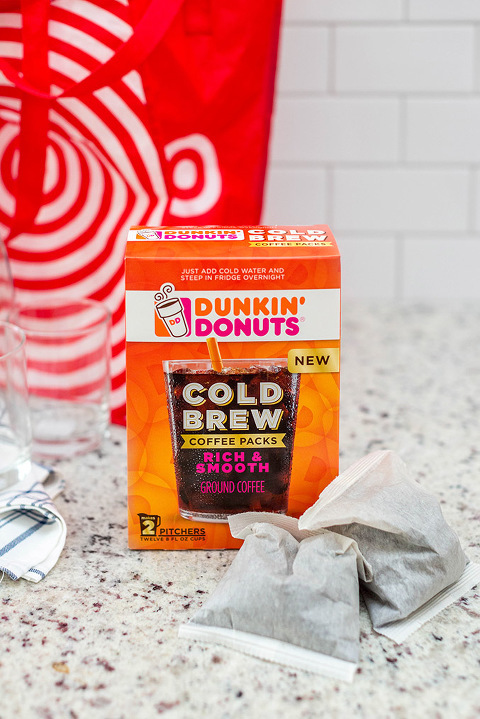 You can score 30% off a box of Dunkin’ Donuts Cold Brew Packs with this Cartwheel coupon now through November 4. Did I mention that there’s also a pumpkin version of the Dunkin’ Donuts packs?! I can’t wait to try our spicy lattes using the pumpkin packs for extra fall-time flavor. What are your favorite seasonal coffee drinks to enjoy this time of year? Have you given cold brew a try yet? And don’t forget to tell us about your first experience with coffee, too!